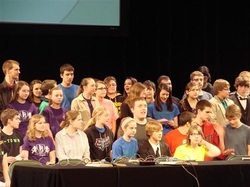 Bible Quizzing is an opportunity for young people to get together, study the Bible, and answer questions in a friendly competition. Each Sunday night from January through March, several hundred teenagers gather to make a contest out of studying a particular passage from the scriptures. It is also a good opportunity to get to know other friends and people from other churches. It's fun! You may download the schedule below to see specific team times and locations. You'll learn the Bible and have fun doing it. 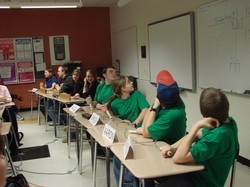 Consider joining or helping with the Bible Quiz Team. Contact us to learn more.